Tottenham defender Jan Vertonghen says defenders will have to adapt to VAR after the latest controversial incident in the Champions League quarter-final win against Manchester City. City were awarded a penalty in the 13th minute of Tuesday’s first-leg tie at the Tottenham Hotspur Stadium when Raheem Sterling’s shot hit Danny Rose’s arm. 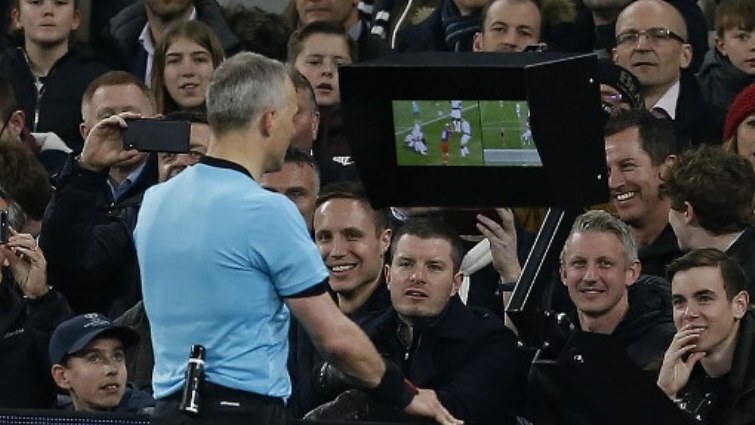 None of the players appealed at the time and it was only after the VAR official advised Dutch referee Bjorn Kuipers to review the incident that the spot-kick was given, in line with UEFA’s directive on the handball law. Spurs goalkeeper Hugo Lloris ensured that it was not a potentially decisive moment, saving Sergio Aguero’s tame effort from 12 yards before the hosts went on to win 1-0. Vertonghen has urged the decision-makers to think like footballers, saying he feared there could be a huge increase in penalties awarded once VAR is up and running in the Premier League next season. “I think we have to change the way we defend,” he said. “We are not pulling people down but even a small touch, if you watch it 20 times in slow motion, it will give so many more penalties. “I think you’ll see in the stats in the next few years in the Premier League, you will see at least 20, 30, 40 more penalties. “I think we all need to adapt — the players, the referees and how they think as a player sometimes. “Sometimes you can’t do anything else than put your body on the line and I don’t even know, but it’s important that referees think as a football player sometimes. Rose said the ball hit his arm but said he did not believe his arm was “outside his body”. “I’m just grateful Hugo saved it and we kept a massive clean sheet, scored at the end and have something to look forward to next week. “It’s unnatural to try to defend a shot with your arms behind your back and I’m not sure that’s something the manager would be promoting. But there’s not much I can do, I have to learn from it. The post VAR penalty shows defenders need to adapt, says Spurs defender Vertonghen appeared first on SABC News – Breaking news, special reports, world, business, sport coverage of all South African current events. Africa's news leader..